We are back to cold and wet day today after a lovely summery weekend. My card today features the beautiful Couture Creations Cabaret 5x7 embossing folder which I embossed with some lovely shimmery card. The little book is the Marianne Creatable Open Book LR0253 Die which I cut, then embossed and coloured the books pages with a gold pen I then cut the song sheet with the die as well and stuck it to the centre only. I then stuck only the bottom of the book to the card and raised the top part up with a few strips of dimensional tape. (I should have taken a side on shot to show you this). The candles and pine branches are also Marianne Creatable dies and the smaller leaves are a Martha Stewart punch as are the flowers. The Happy New Year is computer generated. 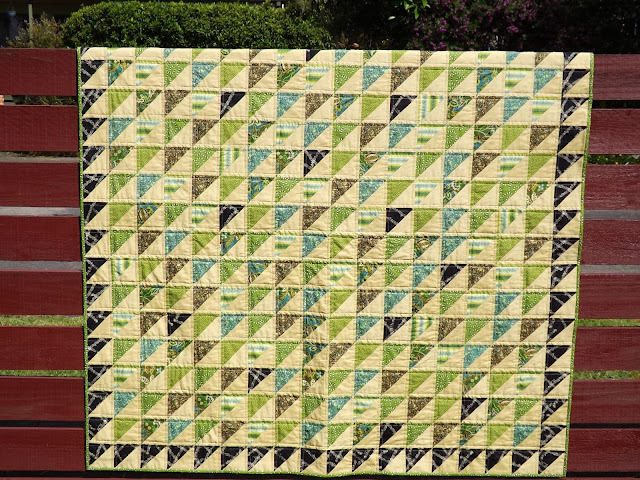 This is one of the things that has been keeping me busy, a quilt for our son for Christmas. 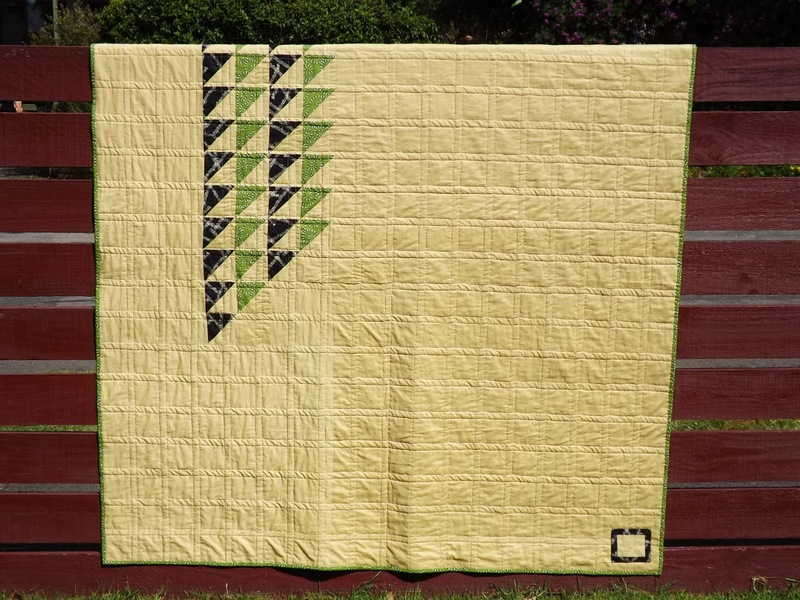 I'm still very new to quilting and make mistakes every time, but also learning something new with every quilt I make. Hello to all my patient readers. 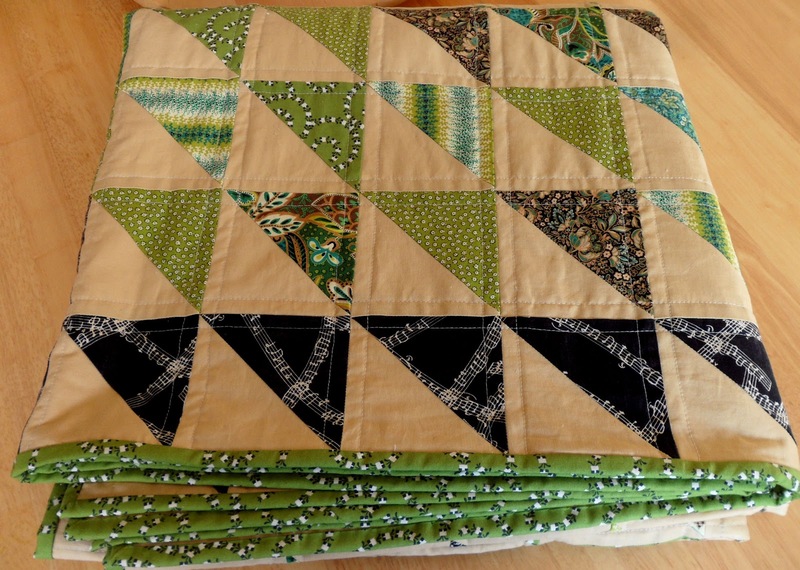 It's such a busy time of year and when you are going away a week before Christmas you need to have all your cards and gifts done before then.I really should start earlier in the year, but it sneaks up so fast. I have had these background papers printed out for so long I can't even remember where I got them, but I think they may be from a scrap kit. 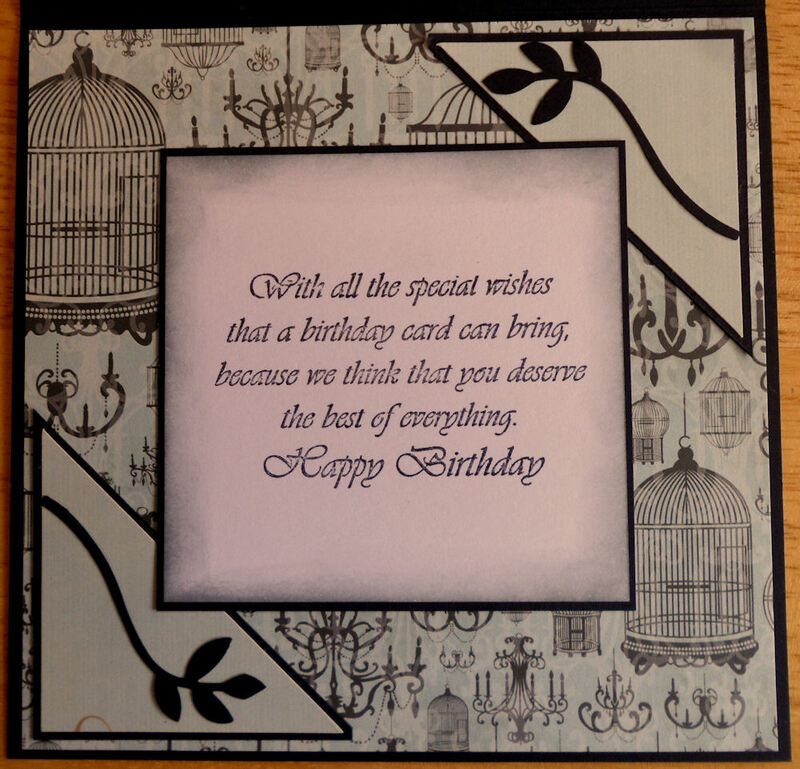 The stamped and coloured image (with copics ) is from FatCatsCardCorner. Thank you so very much for taking the time to visit. I've made another Christmas card. 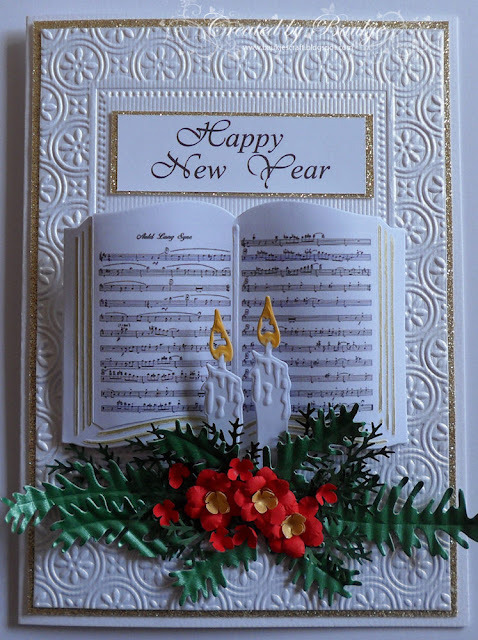 The sweet image is from the Joanna Sheen CD Daisy and Friends at Christmas. I have coloured her with copics and cut her out with a Spellbinders rectangle die. The background paper is also from the same CD. 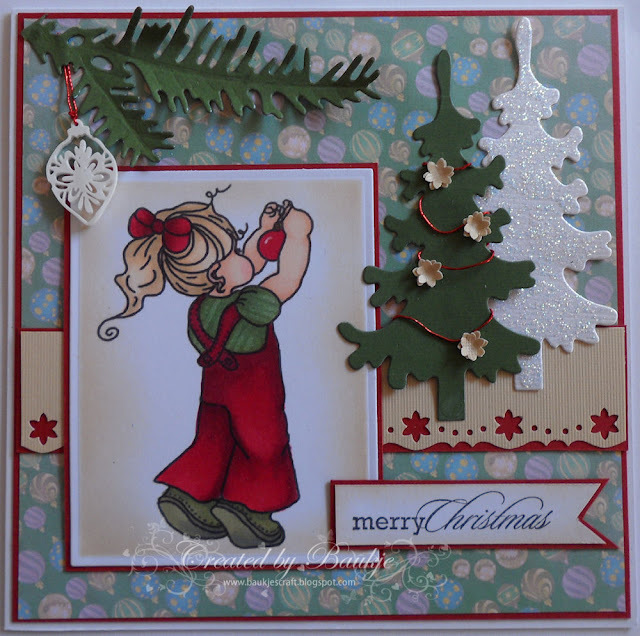 The trees are a Marianne Design Die as is the Christmas bauble which I did with shrink plastic. 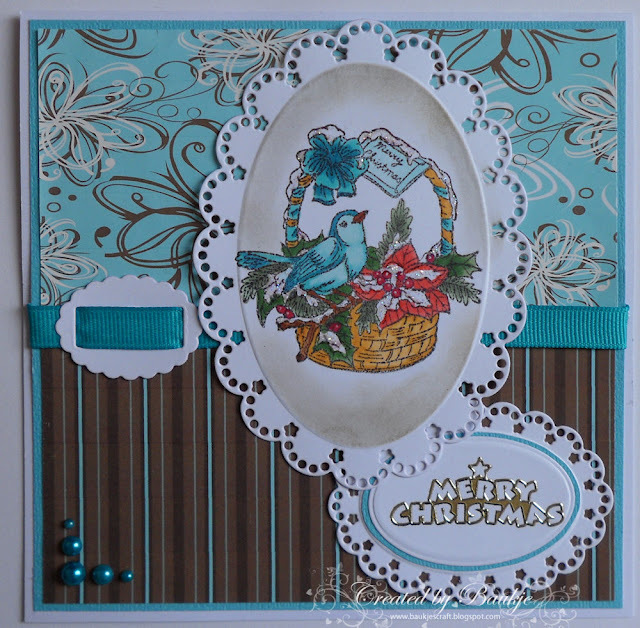 The fir branch is a Cheery Lynn die and the border is part of the Martha Stewart Punch around the page set poinsettia flourish. The little decorations on the tree came from the cut outs of the border punch. I hand cut the sentiment tag. I have also used the new Marianne Creatable Tiny flowers no 1, I left it in the die and sponged over some Memento Lulu lavender I also did the same with the oval die. The little daisy's I made with the Stampin Up Boho Blossoms Punch. The Background paper is a free digital paper pack from Sheri K Designs. It's FiL's turn for a birthday and this is my card for him. 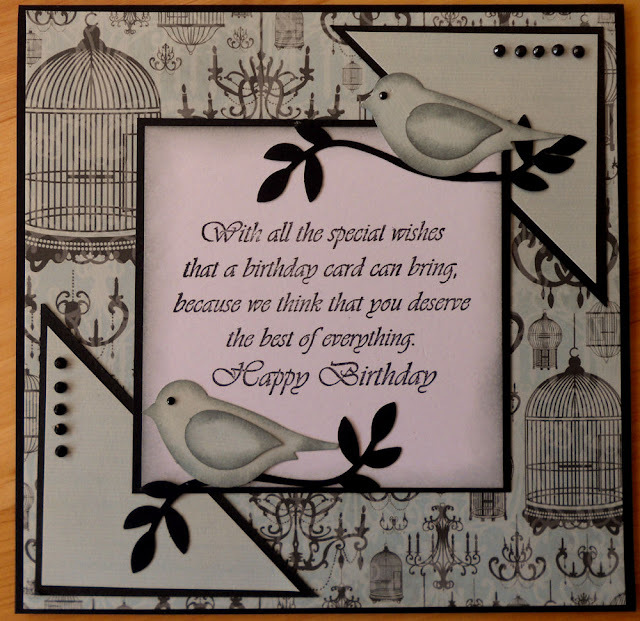 Background paper is from the Kaisercraft pad Le Chateau, the birds, which are the Stampin Up two step bird punch are also from a paper in that collection, I have inked around the edges of them with Memento London Fog ink. The words are a wooden stamp which I've had for so long I cant read the makers name anymore (sorry). Some flat backed black diamantes to finish off with.